Offering multi-cultural cuisine served in a kitchen theatre including several open, interactive kitchens and serving stations. 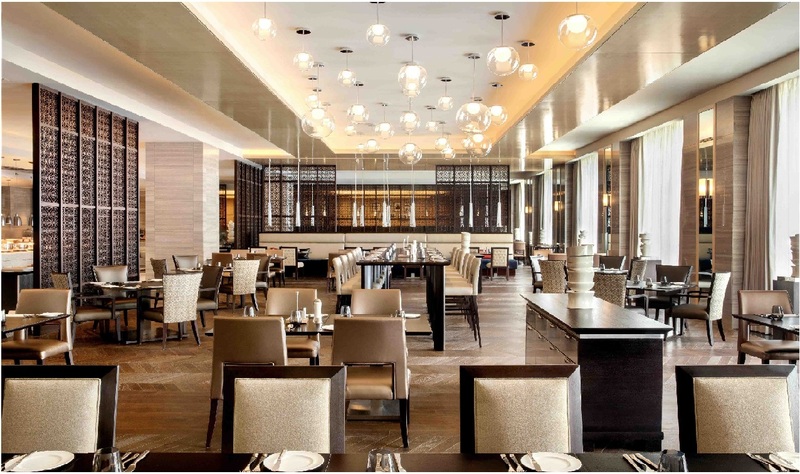 A contemporary restaurant for breakfast, lunch & dinner with a lively atmosphere. 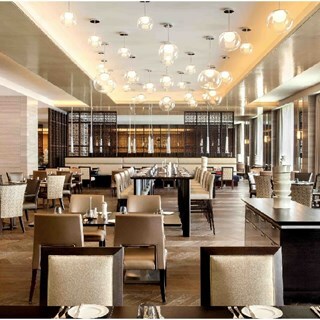 Yes I would like to recommend Spectrum Fairmont Jakarta for gathering. We had good time during our lunch time. Thank you very much for your hospitality. Good food, great and fast service. The quality of food is good however there are limited varieties. Based on what i found out from fairmont jalarta website, expected a kids play area being setup, so that while the kids are playing the parents can enjoy their meal. Of course it was found out that no play area was available. What a disappointment. Please update your website. The food is amazingly delicious.the place also convenient too..The service from the staff is great especially Mas Very is friendly too n doing great job.oh yes for the grill seafood maybe put grill scallop as a chosen of Variant seafood.Overall all good me n my family really enjoyed the food. The service staff was very attentive. The food selection was excellent. They had food that is not common on a buffet spread like the vegetable terrine. This was a very enjoyable experience for both lunch & dinner. Food is delicious, service is fantastic, hotel is beautiful and fantastic that you are part of the Accor program. Spectrum also had the most delicious sesame seed bread rolls I have ever tasted. The bread is always very fresh and soft, perfect. The service and atmosphere were great. For lamb was not good (smell prengus), salmon sashimi was the best. For dessserts, green tea cake was good. Pannachota and other cakes were in average score. Please help to provide more various beverages and improve the taste also. Thank you for giving me a special promotion on my birthday dinner. the place was quite beautiful. enjoy to have eat here. the food was delicious. Everything's is good. the server is friendly and the food is excelent. The buffet option is quite varied but the asian dishes is not soo good. Quite bland. The meat options are good. 1. Sushi rice was not cooked properly. 2. Shells are smelly-probably not in fresh condition. 3. Dimsum was offered in broken skins. 4. Sate was served in uncooked partially. Overall quality of food were disappointing and my mom is not sick after having a dinner-guess because of uncooked chicken sate. I spit it out immediately but my mom had all. When we booked a table at such a good hotel restaurant like Fairmont, there is certain level which we expect to experience. Probably due to holiday promotion, they downgraded food or quality of workers.., BTW will not be back. We were disappointed to be offered a complimentary glass of wine and then before it was served to be told it was not part of the package so we could not have it. Do not create an expectation that you fail to fulfill. At the end of the meal we were asked about our experience and if we would like anything else. We asked if cappuccino was included and were told it was. Before being served we were then told it was not included but because you had already disappointed us with the wine we were told we could have it compimentary. Same problem, creating an expectation which you fail to deliver on. It seems to me you need to brief your staff before service on what is included or excluded in a package. Creating an expectation that you fail to deliver upon creates a lasting impression.